Born in New York and raised in New Jersey, Michael Cudlitz graduated from the California Institute of the Arts with a BFA in Theatre. Although his first love was the stage, Cudlitz found success working in front of the camera to become a versatile and prolific character actor in both television and film. Michael is best known for his work as Sgt. Abraham Ford in The Walking Dead and officer John Cooper in the Peabody Award winning drama series Southland. For his performance in Southland Michael received both the Prism Award the 2013 Critics’ Choice Award for Best Supporting Actor in a Drama Series. 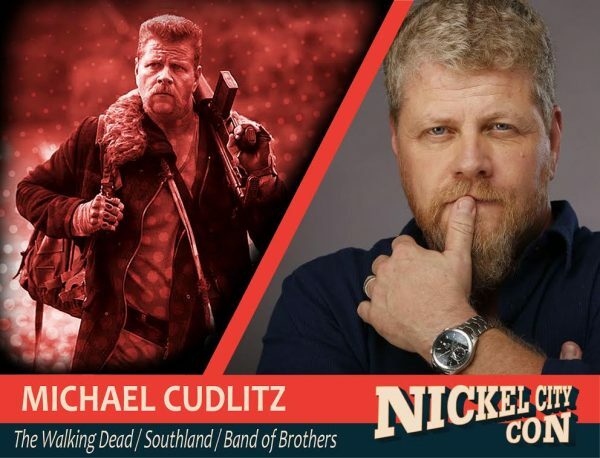 Cudlitz has appeared in over 100 hours of television and more than 30 films; including A River Runs Through It, Grosse Point Blank, The Negotiator, Pawn Shop Chronicles, Cesar Chavez and he also produced and starred in Dark Tourist. Notable television credits include Ballers, House of Lies, Standoff, Lost, Silent Witness, Live From Baghdad, and 24. Of all of his theatrical accomplishments to date, Michael is most proud of his involvement in the Emmy and Golden Globe award winning HBO miniseries Band of Brothers with his portrayal of Sgt. Denver (Bull) Randleman. Cudlitz currently stars as Mike Cleary on ABC’s sitcom The Kids are Alright. One (1) Michael Cudlitz autograph on your item OR on Free 8x10 Photo. One (1) Ross Marquand autograph on your item OR on Free 8x10 Photo. Professional Dual Photo Op with Michael Cudlitz, Ross Marquand and up to Four (4) participants.